Here is a great piece of Abolition history! 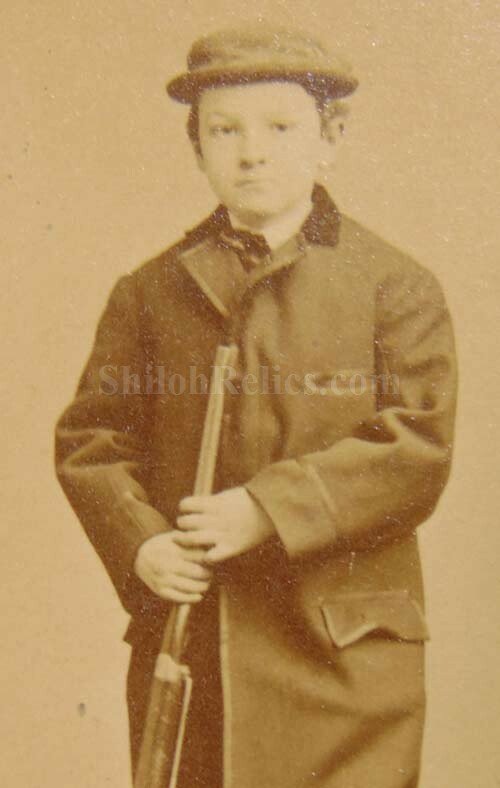 This is an original CDV image featuring John Brown's M-1853 Sharps carbine held by a young boy with a letter and envelope at his feet. 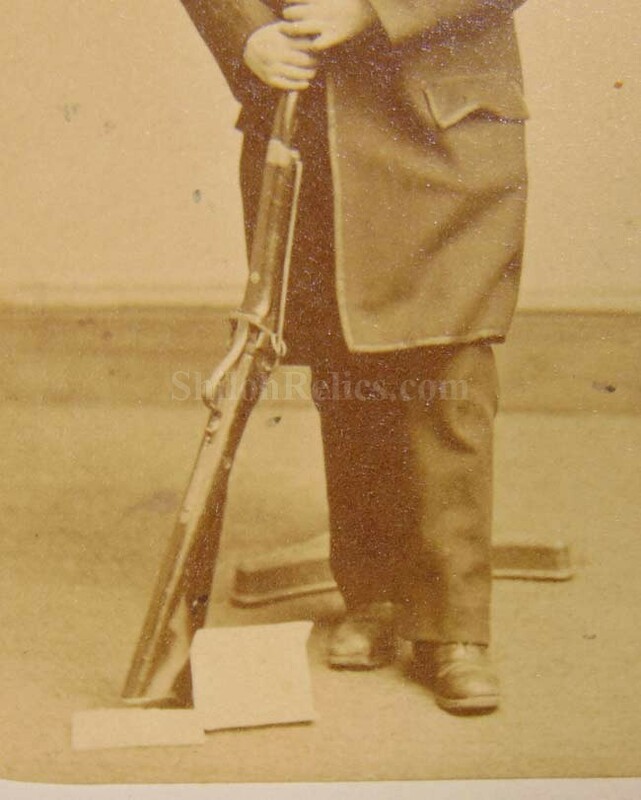 He is holding the gun that has caused that model of Sharps to always be referred to as a "John Brown Sharps". 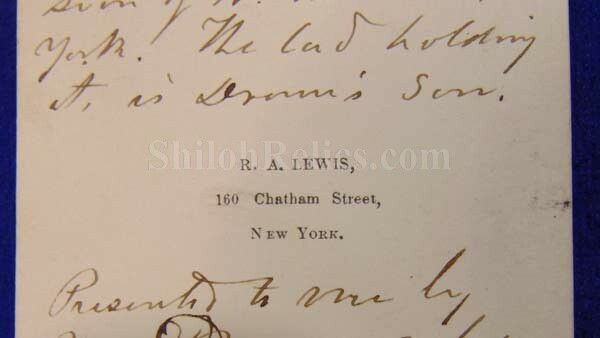 On the back of the image it has the photographer marking of R. A. Lewis, New York. What makes this one really stand out is the beautiful ink inscription that reads, "The gun taken from the hands of John Brown, at Harper's Ferry, now in possession of H. T. Drowne, New York. The lad holding it, is Drowne's son." 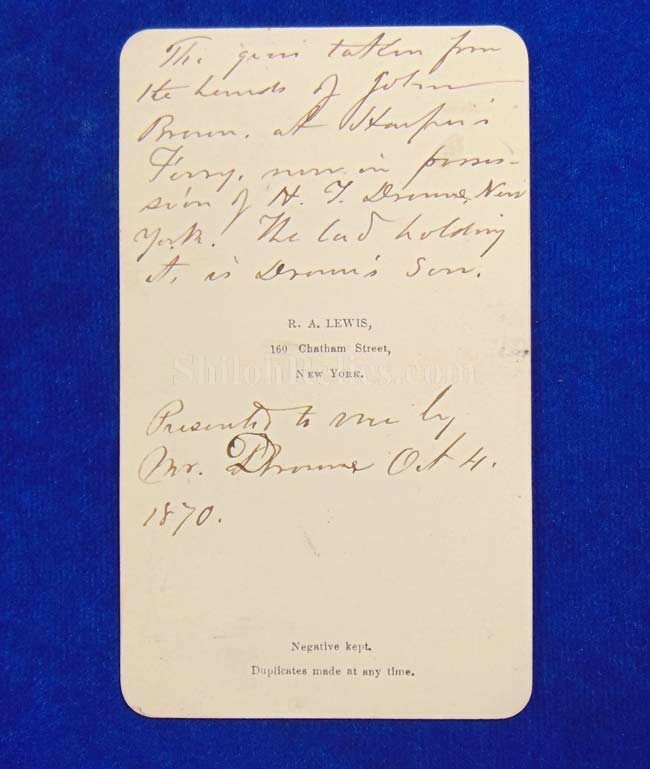 Below the photographer marking it reads "Presented to me by Mr. Drowne, Oct 4, 1870." The carbine shown in the photograph was put on display at the Harpers Ferry National Historical Park after it was discovered in a family estate in Cooperstown, NY in 1998. 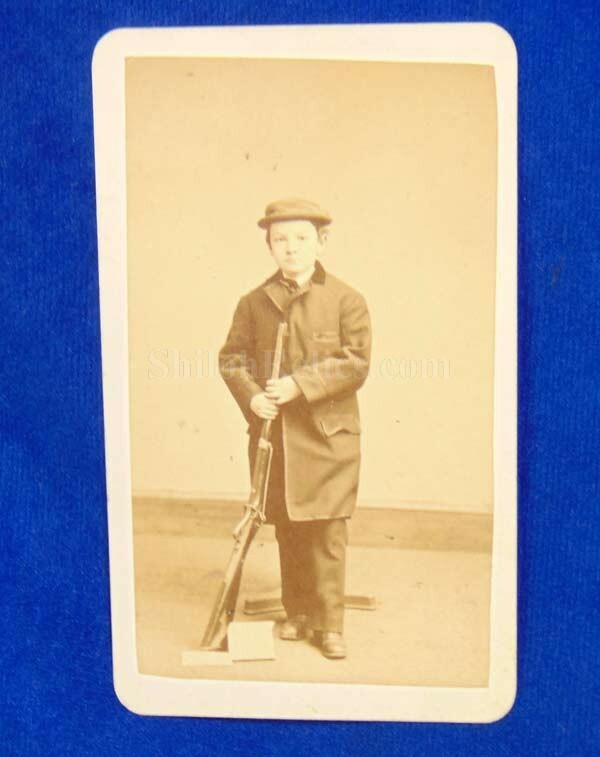 With the firearm was a letter written in 1870, that happens to be the very one featured in this CDV. 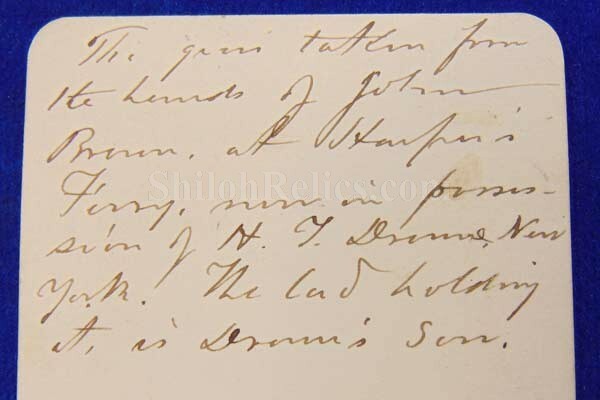 The letter outlines the carbine's history of ownership after John Brown, beginning with General George W. Randolph, who apparently retrieved it from John Brown himself (a fact the letter states can be corroborated by Virginia Governor Henry A. Wise). Written on behalf of General Randolph's widow by Confederate Major Thomas G. Peyton, the letter was intended for a J. Lyttleton Adams. 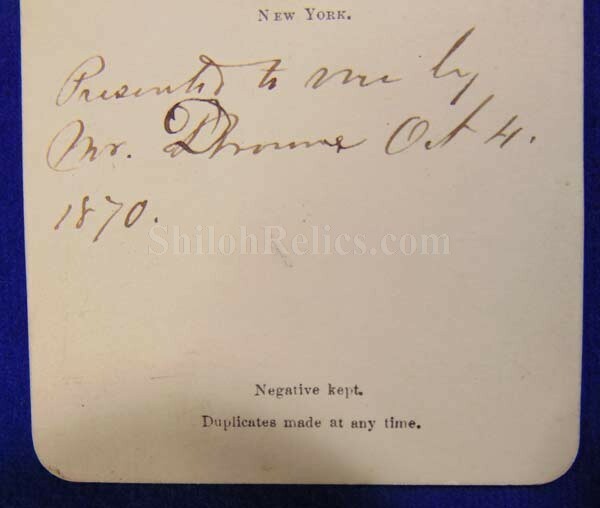 It is believed that Adams could have been an associate of the firearm's subsequent owner, New York's Henry Thayer Drowne, a noted collector of historical artifacts and the man referenced in the inscription on this CDV. What a fantastic piece to display beside your John Brown Sharps carbine.